Park Forest, IL—(ENEWSPF)—March 13, 2016. The Rich Township Senior Center in DownTown Park Forest will host a St. Patrick’s Day-After Party on Friday, March 18. Jim’s Catering for You will serve a traditional St. Patrick’s Feast complete with corned beef and cabbage, potatoes and carrots. There will be music, magic, raffle prizes and plenty of fun. Additional information about the event, including how to make reservations, can be found in the ‘Arts & Entertainment’ section. The League of Women Voters – Park Forest Area will host an informative presentation on Handgun Violence and Gun Control Legislation on Tuesday, March 15 at 7 p.m. at the Park Forest Public Library. Colleen Daley, Executive Director of Illinois Council Against Handgun Violence, will discuss pending legislation, existing laws and their enforcement; statistics on gun violence statewide and in the Chicago area; the impact of gun violence on overall crime rates and the recent Executive Order regarding the sale of guns by unlicensed merchants. Additional information about the event can be found in the ‘This & That’ section. Park Forest vehicle stickers for the 2016-2017 year are now on sale. Vehicle stickers must be displayed prior to May 1 on all vehicles registered with the State of Illinois with a Park Forest address, even if that vehicle is not located in Park Forest. Animal registration for the 2016-2017 year also on sale. View full vehicle sticker details. Cook County residents may cast an early ballot at Park Forest Village Hall, 350 Victory Drive, or at any of the County’s sites. A complete list of voting locations can be found at: http://www.cookcountyclerk.com/elections/pages/default.aspx. Early voting takes place through March 14, from 9 a.m. to 5 p.m., Monday thru Saturday. Sunday, March 13 — 10 a.m. – 4 p.m.
Monday, March 14 — 8:30 am – 7 p.m. Check the Will County Clerk’s office at www.willcountyclerk.com for details. For more information, please call Sandi Black at 708-283-5605. Young love ended much too soon. Letters used for communication instead of speaking. A father-daughter relationship restored despite “the rules of the Underworld.” Characters called Stones. What more could you ask for in a good Greek tragedy? Immerse yourself in another-worldly experience on April 2 at 7:30 p.m. and April 3 at 2 p.m. when GSU’s Theatre and Performance Studies department stages Sarah Ruhl’s ‘Eurydice’ at Center for Performing Arts. Tickets are just $18 and $13 for students with valid I.D. The play is directed by Lydia Milman-Schmidt, who is making her debut at GSU. A retelling of the myth of Orpheus through a feminine lens: Eurydice’s point of view. Eurydice marries Orpheus, a musician who plays the most beautiful music on earth. On their wedding day, Eurydice tragically dies and enters the Underworld where she is reunited with her father. Orpheus grieves for Eurydice and despite his trouble communicating with words, he writes her letters. Following the traditional myth, the Lord of the Underworld agrees to let Eurydice go with Orpheus under one condition: Orpheus must walk back to the world of the living without looking back. Will he? And will she go back? Box Office Hours: Mon-Fri 10 a.m. to 4 p.m., and 2 hours prior to performances. Thursdays the Box office is open until 6p.m. A portion of GSU’s arts programming is supported by a grant from the Illinois Arts Council, a state agency. 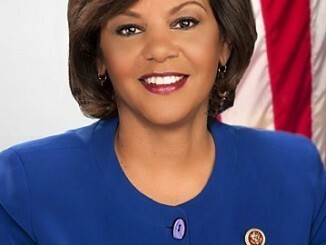 Congresswoman Robin Kelly is sponsoring the annual Congressional Art Competition open to high school students residing or attending a school within the Second Congressional District. The winner will have the opportunity to attend a ceremony this summer in Washington D.C., where his or her artwork will be displayed at the U.S. Capitol for one year. The artwork of second- and third-place winners will be displayed in Rep. Kelly’s district offices. Students may submit their artwork from 9 a.m. to 4 p.m. at Congresswoman Kelly’s Matteson Office, located at 600 Holiday Plaza Drive, Suite 505; at the Chicago Office, 9200 South Commercial Avenue, Suite 415; or to the satellite office located on the lower level of Kankakee City Hall. Please call Alan Banks at 708-679-0078 to arrange a drop-off time. The deadline for submissions is 4 p.m. on Thursday, March 31. Artwork must be two dimensional, framed no larger than 28” x 28” x 4” and can include paintings, drawings, collages, prints, photographs, computer generated art, or mixed media. All artwork must be original. Contest entry rules can be found at http://robinkelly.house.gov/services/art-competition. Congresswoman Kelly will host a reception where she will announce the winner and runners-up on April 9, beginning at 9 a.m., in the Lee E. Dulgar Gallery at South Suburban College, 15800 State Street, South Holland. For more information, call Alan Banks at 708-679-0078. The high school art competition was established by the U.S. House of Representatives in 1982 to acknowledge and support the artistic talent of America’s young adults. The Theatre School at DePaul University presents a modern retelling of “The Misanthrope,” Molière’s classic comedy of manners and social niceties. The play is translated by Richard Wilbur and directed by Brian Balcom on the Fullerton Stage. The production opens Friday, April 15, and runs through Sunday, April 24, 2016. Performances are Wednesdays through Saturdays at 7:30 p.m. and Sundays at 2 p.m. Previews are April 13 and 14 at 7:30 p.m. When Alceste rails against the insincerities in his social circles, he risks losing his freedom, the attention of the lovely and flirtatious Célimène and his place in high society. This satire puts friends and gentlemen into a world of flattery and flaws in verse. What happens when we become overwhelmed by the adulation and the hypocritical buzz of our social networks? Tickets are $15, preview tickets are $10 and student tickets are $5. Subscriptions and group rates (six or more people) are available. All tickets are reserved seating. Tickets are available by calling 773-325-7900 or online at http://theatre.depaul.edu. The Theatre School’s 2015-16 season in Lincoln Park is supported by presenting level sponsor PNC Bank. The Theatre School at DePaul University is easily accessible via the Fullerton CTA Station and the Fullerton (74) bus. Visitors and audience members can park in DePaul University’s Clifton Parking Deck, located at 2330 N. Clifton Ave. Please call the Box Office for more information. For patrons who are blind or have low-vision, the 2 p.m. performance April 24 will include audio description services, as well as a pre-performance touch tour. Call 773-325-7900. The April 24 performance will also be interpreted in American Sign Language. TTY: 773-325-7975. If patrons require wheelchair accessible and/or companion seating, or have any hearing or vision needs, please let the Box Office staff know upon reservation. 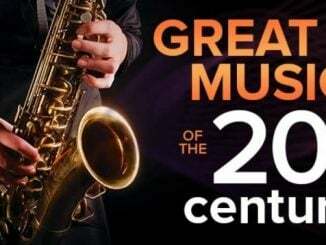 Wednesday, April 20, at 7:30 p.m. is “USO of IL Night,” when U.S. Armed Forces personnel and their families can attend the performance for free. Visit www.tixfortroops.org to reserve tickets, or call 773-325-7900 for more information. Additional special events include an Opening Night reception following the April 15 performance, and post-show discussions April 17 and 21. The day will conclude with a wine reception at the home of retired professor and collector Dan Parker, who will share insights on his private collection of African and African-American art. The all-inclusive fee for the tour is $125, and seating is limited. Reservations for the tour can be made by contacting 708-235-7559. Chicago residents who are interested in joining the group in Hyde Park will be provided with directions for meeting the bus when they make their reservations. The Nathan Manilow Sculpture Park at Governors State University presents important artwork by a variety of nationally and internationally recognized sculptors. Thirty-two large-scale works are currently sited across over 100 acres of prairie landscape and are accessible to the public free-of-charge from dawn to dusk, 365 days a year. For more information about the park and its programs, visit our website at www.govst.edu/sculpture. The 1950s Park Forest House Museum, at 227 Monee Road (inside St. Mary’s Catholic Church) in Park Forest, Illinois currently has Easter baskets with period books, candy and decorations on display in the spring. Hours are Wednesdays and Saturdays, from 1:00 p.m. to 3:30 p.m.; and by appointment on other days. There is a donation of $5 per adult; children 12 & under free with adult. For additional information, contact: Jane Nicoll at 708-481-4252 or Mike Gans at 708-305-3308 or visit www.parkforesthistory.org. Monday, March 14 at 11 a.m. – Sunrise Story Time — Jump start your morning with a series of stories that are sure to get you moving. Ages 12 and under. Monday, March 14 at 6:30 p.m. – Family Movie Night: ‘The Good Dinosaur’ — In a world where dinosaurs and humans live side-by-side, an Apatosaurus named Arlo makes an unlikely human friend. Tuesday, March 15 at 3:30 p.m. — Art Extreme! — We’re taking art to the EXTREME! Explore a wide range of art through painting, drawing, building and more! Art has never been this fun. You don’t want to miss out. Ages 12 and under. Tuesday, March 15 at 4 p.m. — Color-Rama! Coloring Circle — Are you a teen looking to take a break after school with a fun, fresh activity? Come relieve stress and show your creativity with other teens in our coloring circle! Tuesday, March 15 at 7 p.m. – Pajama Storytime — Share special moments with your child through stories, crafts, and more. Wear your pj’s and wind down from a busy day. Ages 12 and under. Wednesday, March 16 at 4 p.m. — DIY: Pot O’Gold — Create your own lucky pot o’gold! For teens 7th-12th grade. Thursday, March 17 at 3:30 a.m. – Art in the Afternoon — Unleash your inner artist! Drop in to create an amazing project of your own. Ages 12 and under. Thursday, March 17 at 7 p.m. — Park Forest Public Library Board Meeting — The monthly PFPL Board Meeting is being held in the Ringering Room. Friday, March 18 at 3 p.m. — Game Day Fridays — Show off your competitive side on Fridays in Teen Tech Zone. From board games to video games, there will be plenty of fun! Friday, March 18 at 3 p.m. — Wii U Fun Friday — Hang out and show off your gaming skills on the Wii U. Bring your friends. Make new friends and impress each other with your gaming techniques! Ages 12 and under. Saturday, March 19 at 1 p.m. — Practical Application Circle: Where We Belong — Join us as we discuss Hoda Kotb’s new book “Where We Belong: Journeys That Show Us the Way.” Be changed, be inspired! Saturday, March 19 at 2 p.m. — Animal Tracks Make & Take — Get ready for a kids’ zone Wilderness Adventure! Learn about your favorite local animals and make a plaster cast of their tracks! Next time you are out for a hike you’ll know the tracks when you see them… foxes, owls, raccoons, minks, and more! Ages 12 and under are welcome. Saturday, March 19 at 3 p.m. — Jane Austen Speaks — Actress Debra Ann Miller portrays Jane Austen in the most vibrant and hopeful time of her life. Bring a friend and receive a special raffle ticket! The Potpourri of Lectures Series will be held on Thursday, March 17 at 10:30 p.m. in the Library’s Ringering Room. This week’s lecture is “Veteran’s Issues” with Village Manager Tom Mick. For additional information call 708-748-3731 or visit www.pfpl.org. PSC’s Christopher Art Gallery will exhibit ‘Synergy,’ a juried art competition for high school students in Community College District 515. The exhibit will open on March 17 and run through April 14. An awards ceremony and reception will be held on Thursday, March 17 from 5 p.m. to 7 p.m. Both the exhibit and reception are free and open to the public. The exhibit will feature computer art, drawing, graphic design, mixed media, painting, photography and sculpture. Christopher Art Gallery is located on PSC’s main campus in Chicago Heights. Gallery Hours are Monday through Thursday: 9 a.m. – 3 p.m., Wednesday and Thursday: 5 p.m. – 7 p.m. and by appointment. For additional information or to schedule an appointment, please call 708-709-3636. On Friday, March 18 at Noon, Jim’s Catering for You will be serving a traditional St. Patrick’s Feast complete with corned beef and cabbage, potatoes and carrots. The event will take place at the Rich Township Senior Center, 297 Liberty Drive, in DownTown Park Forest. After lunch we will be entertained by the wonderful music and magic of The Great Frankini!! There will also be raffle prizes O’plenty! Cost for the party is $10. Reservations are now being taken at 708-748-5454. ‘The 39 Steps,’ a mystery thriller adapted by Patrick Barlow from the novel by John Buchan, will be performed on March 18, 19 and 20th. Performances on March 18 & 19 are at 7:30 p.m. with a matinee performance on March 20 at 2 p.m. A man with a boring life meets a woman with a thick accent who says she’s a spy. When he takes her home she is murdered. Soon a mysterious organization called ‘The 39 Steps’ is hot on the man’s trail in a nationwide manhunt that climaxes in a death-defying finales. Tickets are $10. For additional information or to purchase tickets, visit www.roosevelt.edu/ccpa or call 312-341-3831. Tall Grass Arts Association will present a major cultural and historical exhibit, ‘Ancestors: Art and Artifacts of Africa,’ through April 16. The will also be a lecture and opportunity to meet the collector on Wednesday, March 30, 7 p.m. The exhibit and lecture are free and open to the public. All traditional African Art objects in an extended sense refer to ancestors whether they are intended to depict them or not. Some symbolize spirits, others represent powerful objects of magic or reference ancestral wisdom, yet undoubtedly ancestors continue as intermediaries. More than seventy works of art will be on display. Most are carved of wood, others are made of ceramic, and some cast in bronze. Most of the objects date from the 19th and early 20th centuries. Art objects will be accompanied by photographic wall murals of traditional rather than modern life in Sub-Sahara Africa. Objects have been loaned to Tall Grass Arts Association by several prominent private collectors, namely, Dr. Peter Gould of Haddonfield, New Jersey, and others. Dr. Arthur P. Bourgeois, of Governors State University, and Mr. Scott Rodolitz, of Keene, New Hampshire, serve as both organizers and curators of this exhibition which includes a published catalog. Gallery hours are Tuesday through Saturday from 11 a.m.to 4 p.m. For additional information, visit www.tallgrassarts.org or call 708-748-3377. The Rainbow Café will meet on Friday, March 18 at 6:30 p.m. at UUCC. The movie, ‘The Line of Beauty’ will be screened. In this film, Nick Guest comes to London to live with his college friend’s family, the Feddens. A short stay become permanent, and Nick positions himself in the family’s plentiful love of parties and politics during the Thatcher years. Over the course of three episodes spanning four years in the mid-eighties, we follow Nick’s two homosexual love affairs in a time of promiscuity and carelessness, until the AIDS crisis and a bout of scandal threaten life as he has come to know it. The Rainbow Café is a social event that provides a safe and welcoming environment for single or partnered gay, lesbian, bisexual, and transgender adults and their allies, by creating a space where they are able to socialize outside of the usual bars. The Care is open every 3rd Friday of the month. For additional information, call 708-481-5339 or visit www.uuccpf.org. UUCC will screen the documentary film ‘Call of Life’ on March 25 at 7 p.m. A discussion will follow the film. ‘Call of Life’ examines the collective and individual responses that will be needed to mitigate the impacts of the mass extinction and makes clear the critical choices we have before us. We face the potential of the natural world devastated beyond recognition, with the loss of human life in the billions. Yet, we still have time to avert the worst of the crisis and save much of the biosphere, if we act now. The first step to is to create broad public awareness of the problem—its magnitude and its implications. Only then can our whole society begin to recognize the systemic changes that will be required. The solution is clear: in order to save our planet and secure a future for our own species and all species, we need a new worldview. We must recognize that technology alone cannot save us. We must realize that business-as-usual is no longer an option. Instead, we need to create fundamental change in our culture, our minds, and our hearts. Unique among all human generations, those of us alive today have been given a great opportunity: one last chance to preserve the vitality and magnificence of the living planet that brought us into being, and is our only home. The event is free and open to the public. Coffee, tea and snacks will be provided. Bring a snack to share if you wish. Optional donations gratefully appreciated. For additional information, call 708-481-5339 or visit www.uuccpf.org. Veterans for Peace will host a one night only showing of the documentary ‘Of Men and War’ on Thursday, March 31 at 6:30 p.m. at the Kerasotes ShowPlace Icon Theater, 1011 South Delano Ct., Chicago. A question and answer session will follow the film screening. The warriors in ‘Of Men and War’ have come home to the United States, but their minds remain on the battlefield. Anger consumes them long after their return from the front. Like figures from a Greek tragedy, all have traumatic memories that haunt them to this day. At The Pathway Home, a first-of-its-kind PTSD therapy center, the film’s subjects resolve to end the ongoing destruction of their well-being. Their therapist, who is also a Vietnam Vet, helps the young men forge meaning from their trauma. Over years of therapy, the film explores their grueling paths to recovery, as they attempt to make peace with their past, their families and themselves. Tickets are $9 and can be purchased at: https://www.tugg.com/events/92478. Please Note: This event will only take place if 60 or more tickets are sold via the above link. Please purchase your tickets today. Bring a friend or give them to someone who needs to understand the effects of war on veterans. Veterans For Peace is an international 501(c) 3 organization of veterans and allies whose primary purpose is world peace. We are the only veteran’s organization in the world that is recognized by the United Nations. GSU is hosting an open house for incoming freshman and transfer students on Saturday, March 19, from 10 a.m. to 2 p.m. At GSU, students come first. In the midst of a state budget stalemate, GSU has reaffirmed its commitment to provide affordable and accessible education to students by freezing tuition and continuing to support MAP eligible students. The open house will showcase the innovative freshmen academic program, the seamless process for transfer students, renovated classrooms, labs, and library, and GSU’s on-campus student residences. Prospective students and parents will also be able to meet with Governors State faculty, academic advisors, and financial aid counselors. For more information or to RSVP, contact the Office of Admissions at 708-534-4490 or [email protected]. To register for Open House, go to www.govst.edu/openhouse. GRE test-taking strategies, choosing the right graduate program, and financing your education are all topics that will be discussed at the Graduate Program Open House at Governors State University on Saturday, April 16, from 9 a.m. to 1 p.m. Attendees will learn from experts in breakout sessions designed to answer questions about these important issues. GSU offers master’s degree programs, specialist degree program and professional doctoral degree programs as well as graduate-level certificates in a variety of areas from healthcare to business and education to arts and sciences. Prospective students who attend the Graduate Program Open House will receive a waiver code for their application fee. Programs requiring application through the CAS system are excluded from this offer. The GSU Graduate Open House is free and open to the public. Advance registration is requested by April 8. To register, go to www.govst.edu/grad-openhouse. For more information, call 708-534-4086 or [email protected]. Pat Sullivan, author of ‘ATTITUDE: The Cornerstone of Leadership,’ will be the guest speaker for a Friday, March 18 event, hosted by the PSC Corporate and Continuing Education Department. The program is scheduled from 10 a.m. to noon, in the Conference Center of the PSC main campus in Chicago Heights. Sponsored by BMO Harris Bank, the program is intended to teach attendees the simple, practical concepts and attitude adjustments that lead to true leadership success, allowing business leaders and their teams to meet their goals. Guests will learn the acronym, ATTITUDE, through easy-to-remember keys to success and daily behavioral adjustments. Sullivan has dedicated his career to inspiring people. He has more than four decades of collegiate and high school coaching experience, and has been inducted into six different halls of fame. The cost to attend is $45, and includes a networking lunch after Sullivan’s presentation. For more information or to register, contact Susan Sebastian, manager, business solutions, corporate education, at 708-709-7895 or [email protected]. PSC offers a wide variety of non-credit courses, seminars, and workshops as part of a commitment to serve the community by providing educational, informational, cultural, and recreational activities that appeal to special interests. Students may learn vocational skills, enhance their personal growth, or explore career options. For more information, visit www.prairiestate.edu/training. World-renowned intellectual Kwame Anthony Appiah will speak on “Education for Global Citizenship and the Crisis Facing Black America” March 29 at DePaul University’s Lincoln Park Campus. The event is hosted by the Institute for Daisaku Ikeda Studies in Education at DePaul. Ikeda, a Buddhist leader, peacebuilder, writer, poet and educator, is the founder of several institutes of peace, culture and educational research across Asia, Europe and the U.S. Appiah is an internationally recognized philosopher, cultural theorist and scholar of African and African-American studies. He is the recipient of the 2012 White House National Humanities Medal and was named one of Foreign Policy magazine’s Top 100 Global Thinkers. He writes the New York Times Magazine column “The Ethicist,” where he considers ethical quandaries of readers. Appiah is a professor of philosophy and law at New York University. Born in London, Appiah earned undergraduate, masters and doctoral degrees in philosophy from Clare College, Cambridge University. He is the author of several books including “Cosmopolitanism: Ethics in a World of Strangers” and “Lines of Descent: W.E.B. DuBois and the Emergence of Identity.” The lecture begins at 6 p.m. in the Student Center, Room 120 of DePaul’s Lincoln Park Campus in Chicago. The event is open to the public. RSVP at [email protected]. The Institute for Daisaku Ikeda Studies in Education was established at DePaul in 2014. Its purpose is to research the philosophies and practices of Ikeda and Japanese educators Josei Toda and Tsunesaburo Makiguchi. Additional information is online at http://bit.ly/DPU_Ikeda. The SSC non-credit Basic Nurse Assistant Training Program (BNATP) is running a daytime cohort session from March 21st through May 10th at the Oak Forest Center. Successful completion of this non-credit course is required in order to become eligible to take the State of Illinois Nursing Assistant Certification Examination. SSC offers more contact hours for training than traditional CNA programs along with an additional free refresher course prior to the state certification exam. Each individual who successfully passes the certification exam will then be placed on the State Registry for Health Care Workers. Instruction includes basic nursing skills through lecture, campus laboratory and supervised clinical experiences at a long-term health care facility. The classes meet at the Oak Forest Center on Mondays and Tuesdays from 8:00 a.m. – 12:30 p.m. with lab and clinical instruction rotating on Wednesdays and Thursdays from 8:00 a.m. – 1:30 p.m. and 7:00 a.m. – 2:30 p.m., respectively. Students must submit a health physical, proof of health insurance and completion of a Livescan fingerprint criminal history record. The total cost of the program is $1,299.99 which includes tuition, textbook/workbook, stethoscope and blood pressure cuff, gait belt and the cost of the state competency exam upon successful completion of the course. (Financial Aid cannot cover the cost of this program, nor the physical and background check.) There will also be another round of classes running in the summer from June 6th through July 28th. Please call 708-596-2000, ext. 2497 or email [email protected] for more information. The Oak Forest Center is located at 16333 South Kilbourn Avenue. Please visit our website at www.ssc.edu for more information. Thorn Creek Audubon Society will host Tom Ulrich, an acclaimed professional photographer, on Wednesday, April 6 at 7 p.m. at Freedom Hall, 400 Lakewood Boulevard, Park Forest. Tom will take us through a dozen countries where we’ll see amazing photos of birds, butterflies, mammals and reptiles. The event is free and open to the public. Refreshments will be served. Optional donations will be gratefully accepted. Come celebrate the early spring woods with music at the annual Woods Music concert on Friday, March 18, 7 p.m. at Thorn Creek Nature Center. The evening will feature music performed by Seth Whitson with vocals and guitar, Christopher Kondrath and Julian Pat Romane on acoustic and upright basses, the Molly Rose Trio, and Ingrid Krizan on cello. Seth Whitson is a native of Park Forest and life-long appreciator of Thorn Creek Woods, who inspires kids to hone their rock band talents at the Melody Mart in Homewood, will regale us with his own take on traditional vocal melodies and guitar strumming. It’s all about that bass as Christopher Kondrath and Julian Pat Romane regale us with their unique blend of improv tunes. Christopher formerly played with “The Flock” and served as sideman for the legendary Elmo James, among others. Julian, Professor of DoubleBass at Bradley University and freelancer in many regional professional orchestras, feels equally at home playing Rush or Rachmaninoff. The Molly Rose Trio plays everything from great American songbook tunes to jazzified pop covers, straight-ahead jazz standards, and fresh original music. This fresh, fun jazz combo is helmed by Molly Rose on guitar and vocals and propelled forward by guitarist Frank Lozich and bassist Bill Brier. Ingrid Krizan, naturalist by day, cellist by night, likes to mix and match her two careers of choice at any appropriate opportunity. Her “Bach & I” musical stories combine the unaccompanied cello music of J.S. Bach with her own written narratives. This time expect a combination of Stravinsky and Thorn Creek Spring. With the generous donation of the musicians’ time and expertise all proceeds will directly benefit Thorn Creek Woods and Nature Center. Join us for a fun evening as the music echoes through the woods. This year there also is a fabulous Earth Day raffle. Woods Music tickets are on sale now! Seating is limited and tickets should be purchased in advance. Cost is $10 per person. Program is for those older than 12 years. Additional parking is available at New Community Church just north of the nature center. Performance will begin at 7 p.m. so allow time for parking. For more information or to purchase tickets call 708-747-6320 or email [email protected]. Visit our website at www.tcwoods.org. On Saturday, March 19 from 9 a.m. to 12:30 p.m., UUCC will host a Morning Meditation Retreat. Wondering if meditation is right for you? Or would you like an opportunity to freshen up your practice? Join us for a morning of instruction, sitting and walking meditation, and discussion. A light lunch will be served. The group will be limited to 15. There is a suggested donation of $15. Please call to register by Wednesday, March 16 at 708-481-5339. The Spring Career and Internship Fair at GSU is a chance for job seekers to meet with potential employers and discover job and internship opportunities. The Office of Career Services at GSU is sponsoring the fair for people interested in jobs and internship opportunities in communications, technology, business, public administration, criminal justice, addiction studies, community health, and education. The Spring Career and Internship Fair will be held on Thursday, April 14, from 2-5 p.m., in the Hall of Governors and the Center for Performing Arts Lobby on the university’s main campus. This is an opportunity to match jobs and internships positions with qualified personnel. This event is free and open to the public. Current students, alumni, and community members are invited to attend. Potential employers are also invited to register as participants through the Office of Career Services by the employee registration deadline of March 18, 2016. Please join The League of Women Voters – Park Forest Area for an informative presentation on Handgun Violence and Gun Control Legislation. The event will be held on Tuesday, March 15 at 7 p.m. at the Park Forest Public Library, 400 Lakewood Boulevard. Our speaker is Colleen Daley, Executive Director of Illinois Council Against Handgun Violence. She will cover areas such as pending legislation, existing laws and their enforcement; statistics on gun violence statewide and in the Chicago area; the impact of gun violence on overall crime rates and the recent Executive Order regarding the sale of guns by unlicensed merchants. The program is open to the public and anyone interested in the topic is encouraged to attend to learn more about this important issue. For more information you may contact Diane Hodges at [email protected] or Barbara Moore at 708-481-5251. The final date to register for the upcoming Park Forest Baseball season is Thursday, March 17 from 6 to 9 p.m. at Park Forest Village Hall, 350 Victory Drive. Park Forest Baseball is a youth baseball league offering boys and girls, ages 4 to 14, the opportunity to learn the skills and fun of baseball. Coaches and managers are needed. Call 708-975-1294 or visit www.parkforestbaseball.org for additional information including dates and fees. The Student Veterans Center at PSC is hosting a Veterans Services Fair from 9 a.m. to noon, Wednesday, March 16, in the Conference Center of the college’s main campus in Chicago Heights. Representatives from the Cook County and Illinois Departments of Veterans Affairs will be available for questions. Additional information for veterans also will be available, including housing, legal and educational information, as well as résumé writing guides and more. Veterans from any period and their families are welcome to attend to network as well as learn about available services. For more information about the fair, contact Sanon at 708-709-3567 or email [email protected]. The Student Veterans Center at PSC provides academic and social support to veterans with an emphasis on graduation and successful integration into the college. At the center, PSC student veterans can study and socialize with fellow veterans and find information about the services available to them at PSC and in the community. For more information on the Student Veterans Center and all veterans services at PSC, visit www.prairiestate.edu/veterans. SSC proudly announces Judy Ferraro as the Keynote Speaker for the 2016 Chicago Women’s Conference on Friday, March 18, located at the college’s Main Campus in South Holland, Illinois. This year’s theme “Reach for The Stars” marks the 8th annual event that the college’s Business and Career Institute (BCI) is planning for women of all backgrounds ages 18 and up to come together for one day dedicated exclusively to women. The positive feedback and participation has grown tremendously since the event’s inception. Last year over 350 participants and 50 vendors participated in this truly unique opportunity. Judy Ferraro owned and operated her own scrap metal business and after 18 years in the industry, she decided to shed the glitz and glamour of scrap metal to form a consulting firm for personal development, sales and leadership training. Studying in Chicago’s comedy circle, Judy uses her comedic background and excellent interactive skills when building seminars that are informative and fun and emphasize the importance of listening, the art of asking good questions and the ability to laugh at oneself. In addition to an exciting keynote from Ms. Ferraro, this year’s event will again include networking, shopping, and will feature over 15 speakers on topics including Personal Empowerment, Health & Wellness, and Business & Finance, along with a panel discussion “Stars – Straight Talk About Real Stuff” that will feature poignant discussions on the many areas of a woman’s life. The cost of admission is just $25 per person with advance registration, or $35 at the door. The conference fee includes a continental breakfast, lunch, and admission to all of the break-out sessions. Sponsorships are also available – event sponsors to date include: Supervisor Frank M. Zuccarelli – Thornton Township, MB Financial Bank, Ed Miniat, L.L.C., Thornton Township School District 205, State Representatives Will Davis, Anthony DeLuca, Thaddeus Jones and Al Riley, Illiana Financial, State Senator Donne Trotter, State Representatives Marcus C. Evans and Elgie Sims and Cook County Commissioner Stan Moore, Judge Fredrick Bates and Pat Heneghan for Judge. For more information, or to register for the 2016 Chicago Women’s Conference, please call 708-225-6055 or visit www.TheChicagoWomensConference.org. Open gyms are being offered throughout Park Forest. The Rich East Parent Booster Club is sponsoring an open gym at Rich East High School, 300 Sauk Trail, on March 15, 18, 22, and 24. The open gyms are held from 7 p.m. to 9 p.m. The cost is $4. Participants should enter through Door 11. Park Forest’s Teen Zone program is also offering open gym events at Michelle Obama School (formerly Forest Train), 215 Wilson Street, for kids in grades 7 through 12. The open gyms are held from 6 to 10 p.m. The fee is $3. A picture ID is also required for admission. Local food pantries estimate the need for food and household goods has more than doubled in the past five years. The need is especially high in the spring and summer months as donations decrease and supplies diminish. Join us to help reach our goal of 30,000 pounds of food and household goods for families and individuals throughout the Chicago Southland Region. The Village of Park Forest’s Recreation and Parks Department will accept donations of food and household goods through March 31 on Mondays from 9 a.m. to 8 p.m. and Tuesday through Friday from 9 a.m. to 5 p.m. Donations should be unopened and non-expired cans and boxes – no glass.